The Apprentice: Who Gets Flat Packed? Would you buy a “Tidy Sidey.” Or a box on wheels? 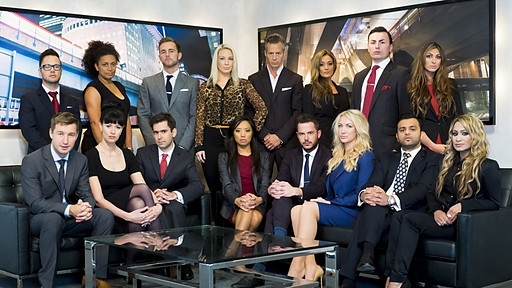 The candidates receive a surprise phone call at the end of their day off; they are called to the home of the Design Council, where Lord Sugar informs them that their task is to come up with a unique piece of flat-pack furniture, before producing prototypes and pitching their products to retailers. The candidates get creative; one team brings a folding chair to the table, while the others set out to manufacture a multifunctional cube which evolves into a box on wheels. But while the boys get their measurements mixed up, the girls start squabbling over market research. On sales day, half the teams hit the high street in search of orders for their products; but with the pressure on, some members of the street sales team come unstuck. The rest head for appointments laid on by Lord Sugar with some of the country’s biggest retailers – and under scrutiny one presentation goes bottoms up. In the boardroom, there is the usual squabbling there is high praise for The table that folds into a chair with lots of orders from Argos a major high street and main order player and low opinions of the box on wheels, and the girls losing team come in for a total hammering before Lord Sugar makes his decision and tells Sophie “I Don’t do…..,” she is fired. Next week they open a farm shop lets hope there is no more manure from the girls. That was funny wasn’t it… the box on wheels, and when they started messing with the pillow ha ha ha. thanks for dropping by, it these are some of britains best business brains they we really should be worried!